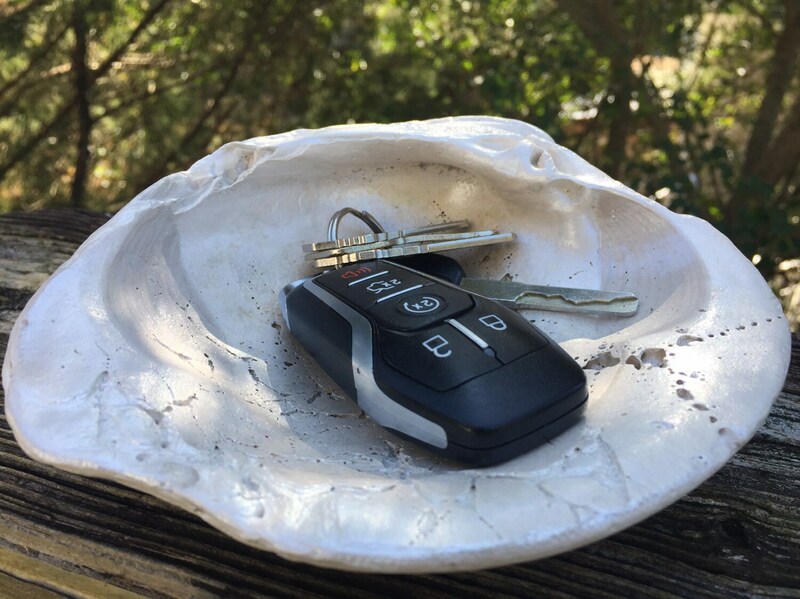 I found this HUGE clam shell on the Outer Banks during one of my walks by the shore. Getting married at the beach? This would be perfect for your ring bearer to use at your beach wedding. This ooak shell has been cleaned, restored, and repurposed by me. Perfect for your special jewelry, it sits flat on it's own, but I can add faux pearl feet if you request it. OR perfect for bedside or by the sink when you remove your jewelry. Have a shop? Use it for business cards or even to hold your keys (in a designated spot, so you can find them, lol). 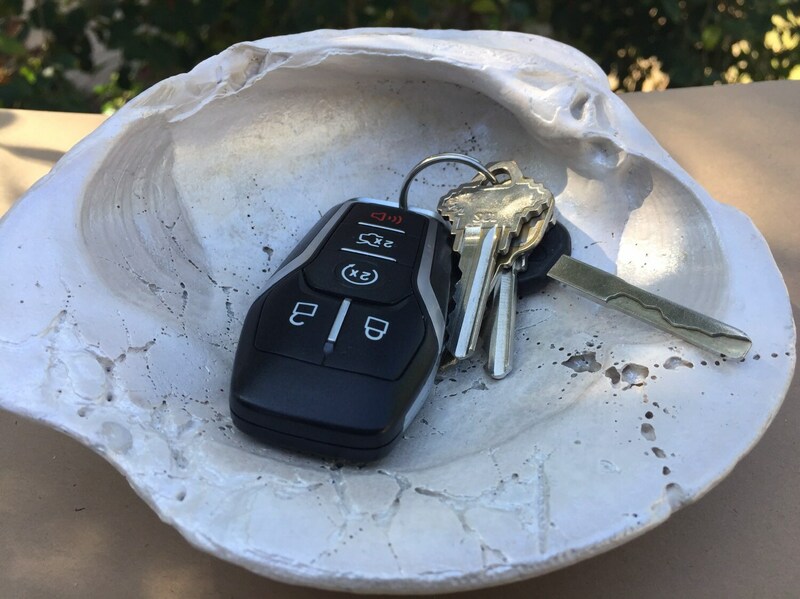 This listing is for the exact huge clam business card holder/trinket dish/ring holder shown; the inside has a special coating I've applied, but the outside of the shell is left natural (see last photo). 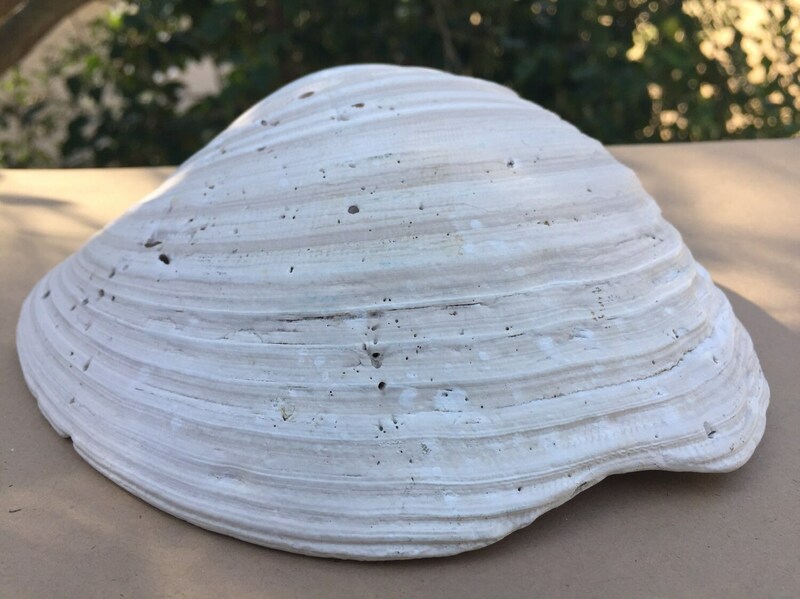 This huge clam ring dish/ shell business card holder/trinket dish/ring holder/soap dish measures 6" wide, 5 " long and about 1 1/2" deep. If you haven't done so already, follow us on facebook: Beach House Dreams, or on instagram Beach House Dreams OBX, to keep up with our new products. Your ready to ship one of a kind clam shell will come carefully wrapped inside the small priority box, and will be packaged and shipped with care. 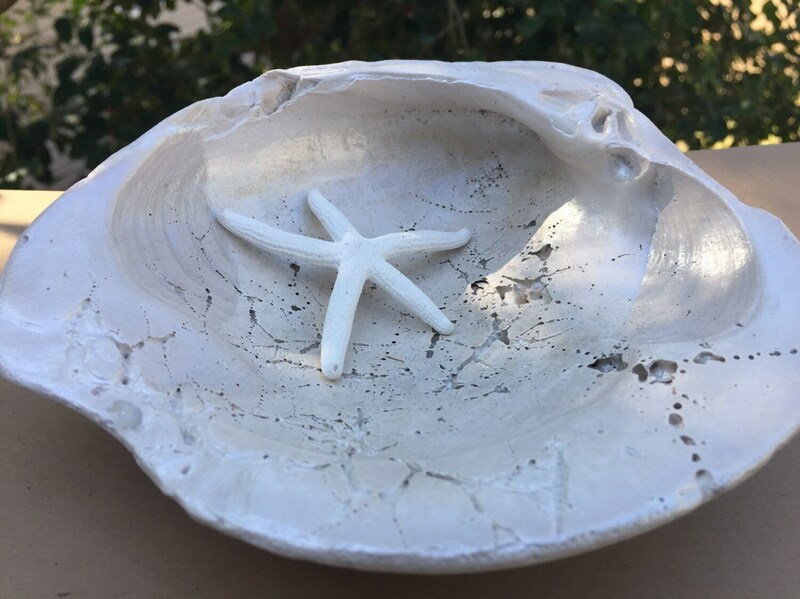 It will be shipped in 3-5 business days, and you should receive yours 3 business days after I ship it here in the continental U.S.
Beautiful little dish! I love using it to hold my jewelry, thank you! I absolutely love this trinket dish! I have been using it everyday since I received it as a ring holder...absolutely darling and very high quality. The service was wonderful and I know this piece will be something I treasure in my home for a very long time. Thank you SO much! Too cute and fast shipping!